District application signed by the owner of record. Plan showing the proposed encroachment location. 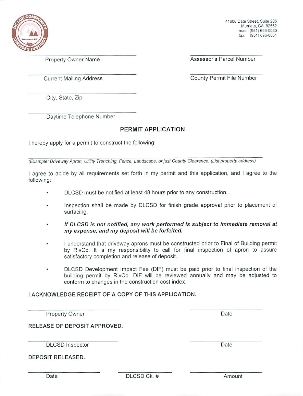 Click the image below to download our permit application. 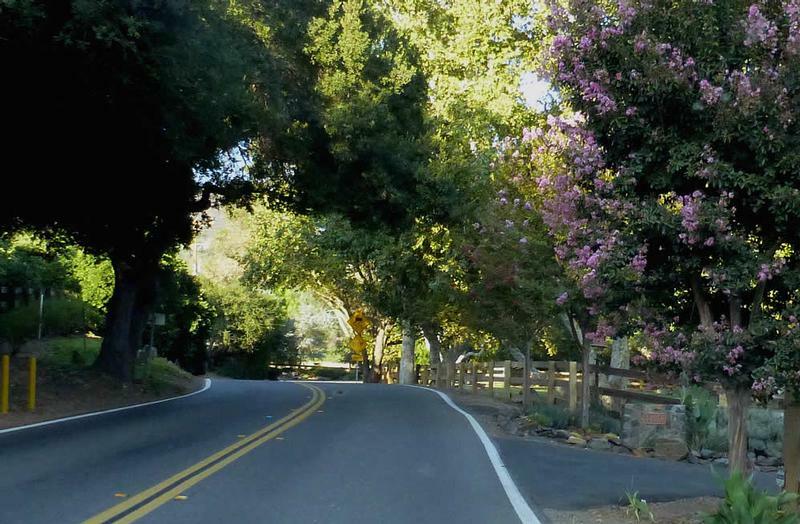 In addition to District requirements, property owners are responsible for meeting all plan review and permit requirements of Riverside County, as well as any Property Owner's Association (POA) requirements. Not all properties in the District are in associations; your title policy is the most reliable source of information. The DLCSD is pleased to offer assistance in determining association status and County permit needs, however, owners are legally responsible for determining these requirements. Additionally, the following information and fees are required for specific types of encroachments. Please note that in all cases, fees must be paid and the permit issued prior to any construction, erection, or planting. Permit and Inspection Fee of $300.00. $400.00 deposit. Deposit is refundable upon final inspection of driveway if property owner has called for pre-construction and final inspections. Permit and Inspection Fee of $185.00 + $.14 per lineal ft.
Trenching/boring deposit of $2,000.00 (minimum) in the form of certified funds. (Deposit is refundable upon completion of work and submission of satisfactory compaction report). Contractor's name, address & license number (must be A, C-12, or C-34). One permit may cover both electrical and telephone installations if joint trench is used. Permint and inspection fee of $100.00 + $0.14 per lineal ft.